The police have confirmed that following the collision on Kindley Field Road on Saturday, a 21-year-old man was treated at the hospital and discharged. This was one of 21 collisions reported over the weekend, with the police confirming that 10 were reported as damage only, 8 reported as minor injury and 3 reported as serious injury. 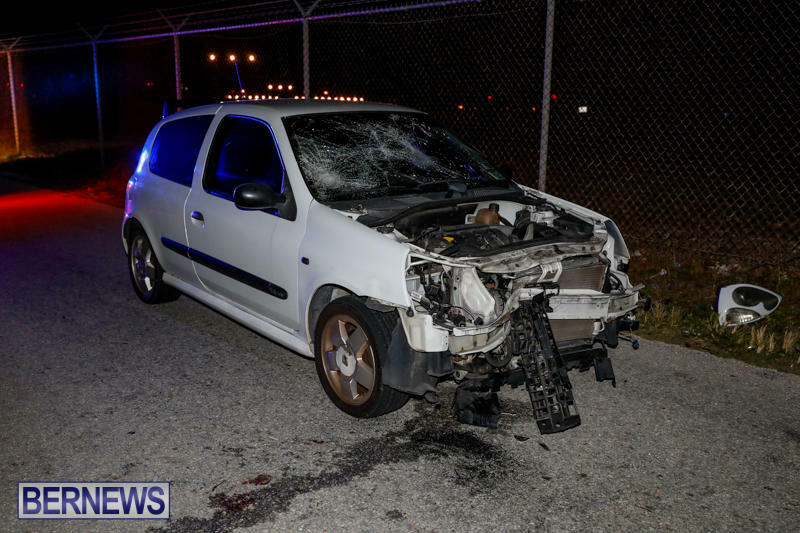 A police spokesperson said, “Around 1:15am Saturday, December 2nd police and first responders attended a reported two vehicle collision on Kindley Field Road in St. George’s. 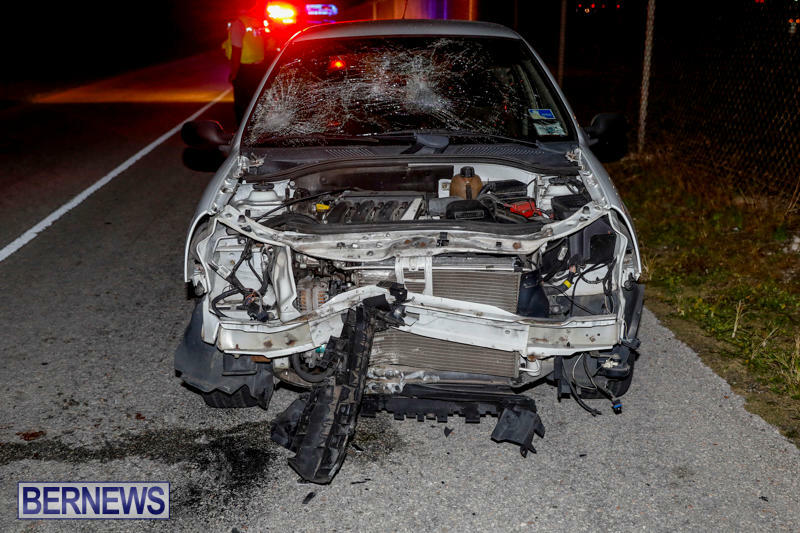 “It appears that a car driver and a motorcyclist traveling in opposite directions collided. 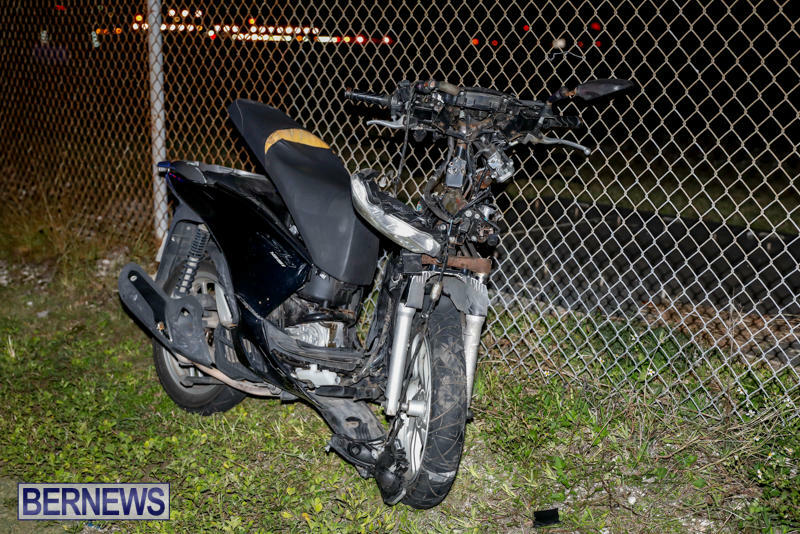 “The injured rider, believed to be a 21-year-old St. George’s man, was taken via ambulance to King Edward VII Memorial Hospital for treatment of an arm injury and discharged later the same day. Speed + dangerous driving = accident and or death! Is there a test at TCD? Or do we just sell licences? It could be just a waste of time asking people to drive sober ;slow down, and drive with due care ! Does damage caused to another persons vehicle ; property or person regardless of the circumstances warrant time in jail ? Many people take years saving and paying for their vehicle, it all is lost in less than a second. Of course nobody “knows” what exactly happened, but an accident of this type on Bermuda’s widest, straightest road is extremely puzzling.